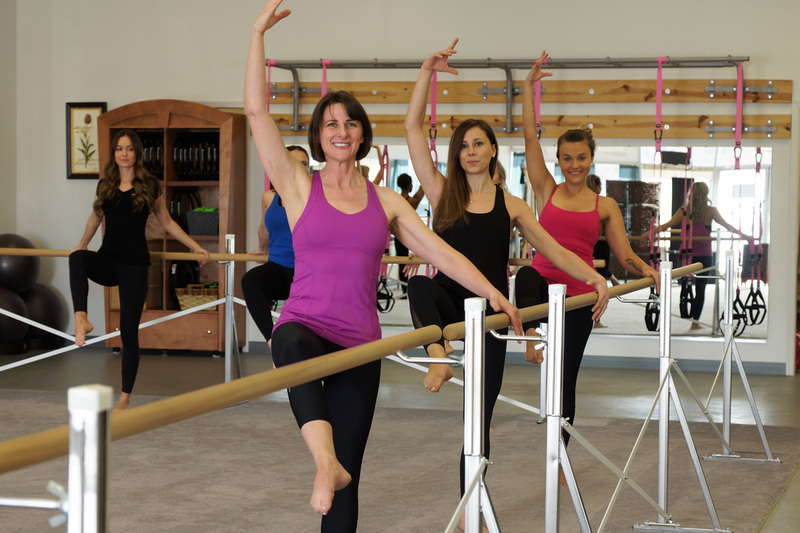 Our barre classes combine classical ballet barre exercises with athletic conditioning and performance training to provide a challenging full-body workout. Fun, upbeat music is used to keep each participant inspired to get through this high intensity workout! A very effective class that fuses the best of barre with a little more weight training. This faster paced class includes 30-35 minutes of moderate to high intensity, zero impact cardiovascular exercises that tone and shape the legs, glutes and arms followed by 15-20 minutes of focused floor work to improve core strength and overall flexibility. Our mat pilates classes apply contemporary principles to classical matwork. Emphasis is placed on maintaining a neutral spine in order to maximize the benefits of the exercises. Pilates has a built-in flexibility component so the participant creates long, lean muscles. Pilates is for everyone and we offer modifications to accommodate all levels of fitness. Small Group Pilates Equipment classes have a minimum of 2 and a maximum of 6 clients. 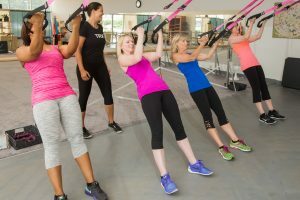 Participants will get a full-body workout using all the pilates apparatus in the studio including the Reformer, Cadillac, Split-Pedal Stability Chair, Ladder Barrel, Tower Trainer and Spine Corrector. These classes are 50-minutes in length. Reformer Classes are available and have a minimum of 2 and a maximum of 4 clients. These classes are solely on the Reformer and are 45-minutes in length. It is recommended that clients who are new to pilates equipment workouts take some private sessions prior to joining the small group classes. Clients also have the option to upgrade to a private if they are the only participant scheduled for a class. Total Resistance Exercise utilizing straps and your own body weight to create a challenging full body workout with a focus on core strength and balance. Multi-level. 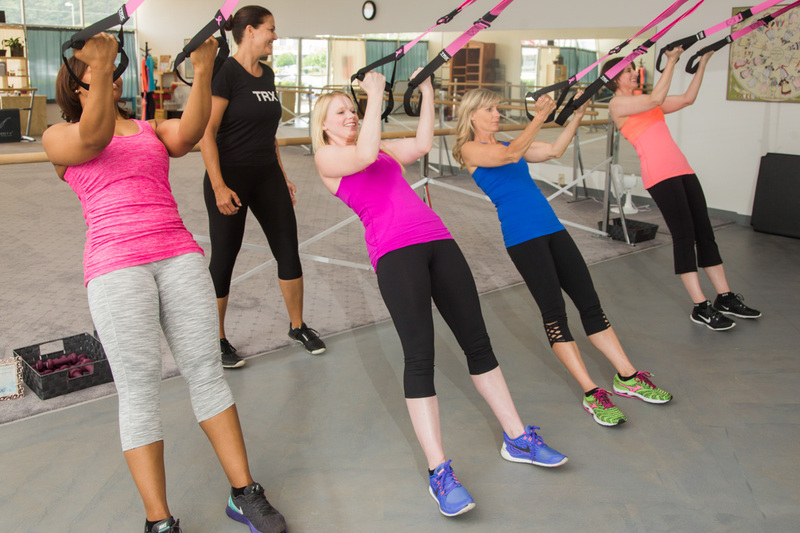 TRXPilates creates a more challenging mat pilates class by performing traditional mat pilates exercises with the TRX straps. This 30-minute workout fuses traditional abdominal exercises with pilates based core conditioning. Crunches and planks are made more challenging by using small equipment and props from mat pilates class.